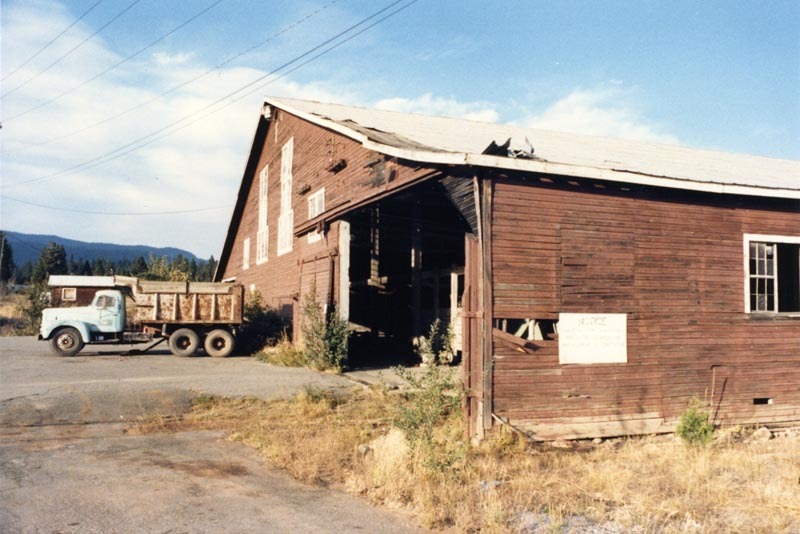 Here are some historic photos of the McCloud sawmill. 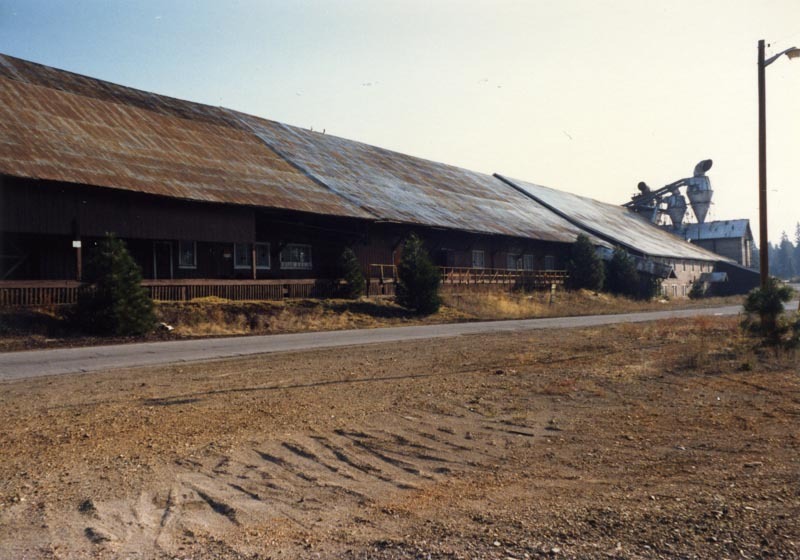 A view of the original log pond on the south side of McCloud from the Marc Reusser collection. 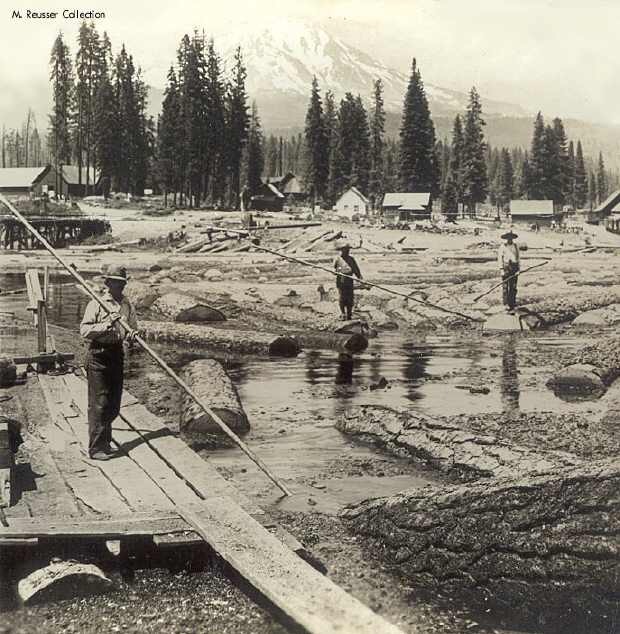 The men on the logs used the long sticks they are holding to move the logs around the pond. 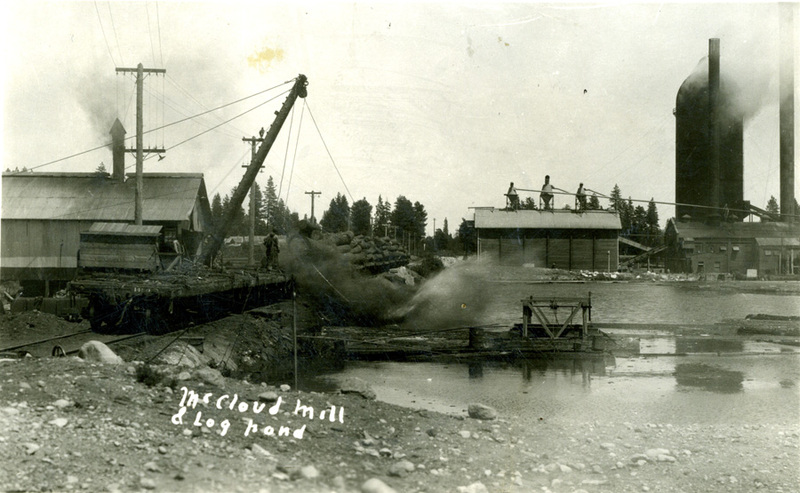 An old circa 1908 colorized postcard of logs being dumped into the the original mill pond. 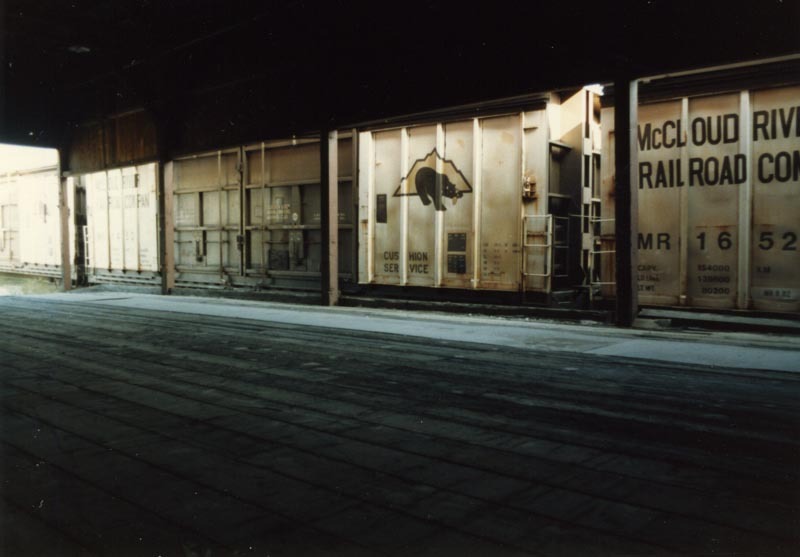 Jeff Moore collection. 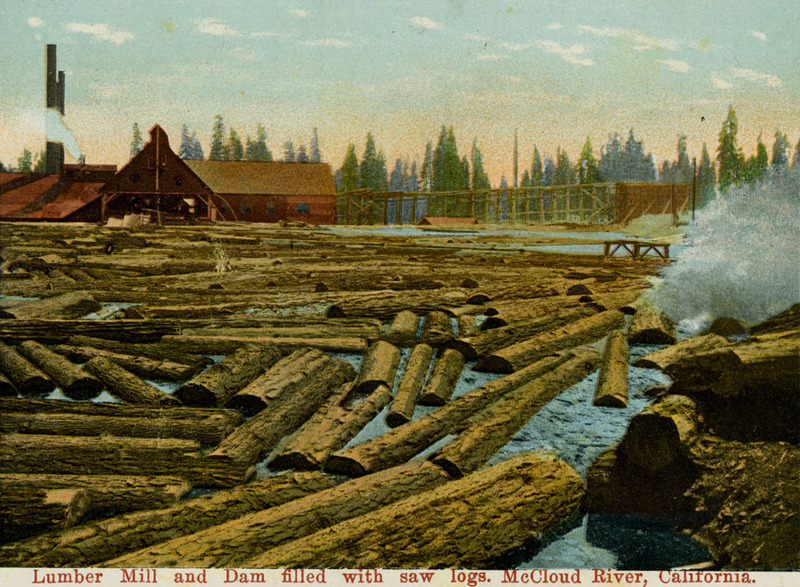 A 1931 postcard of logs being dumped into the pond. 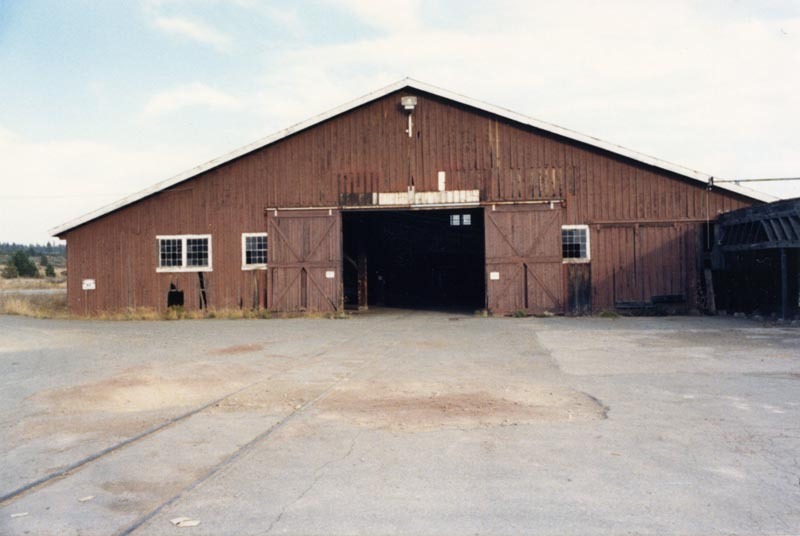 Jeff Moore collection. 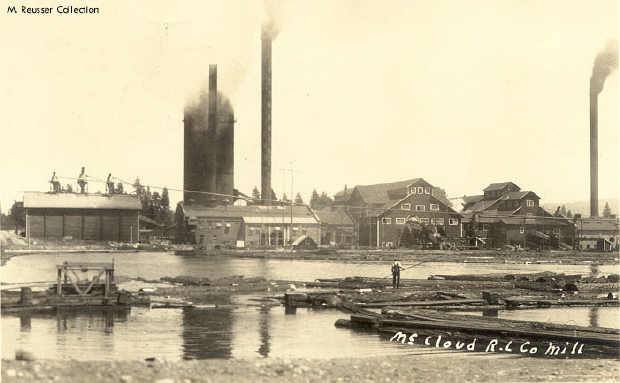 An overall view of the lumber mill from around 1927 from the collection of Marc Reusser. 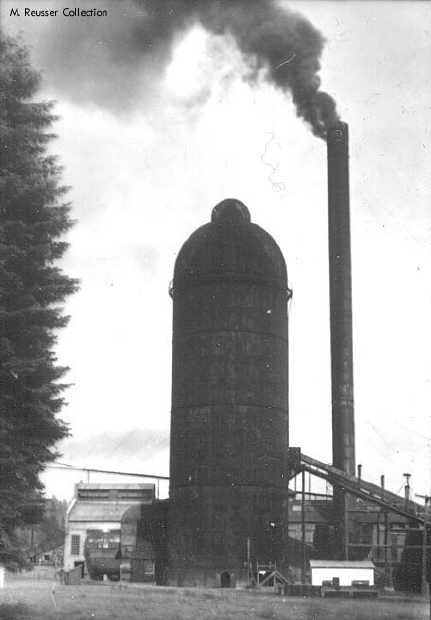 A shot of the slash burner from the Marc Reusser collection. 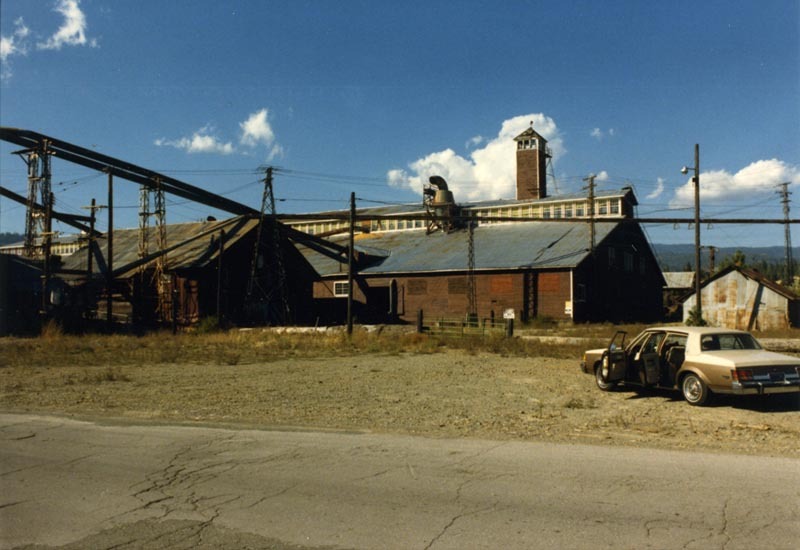 Pat Driscoll took these photos of the closed planing mill and other factories in the early 1980s. 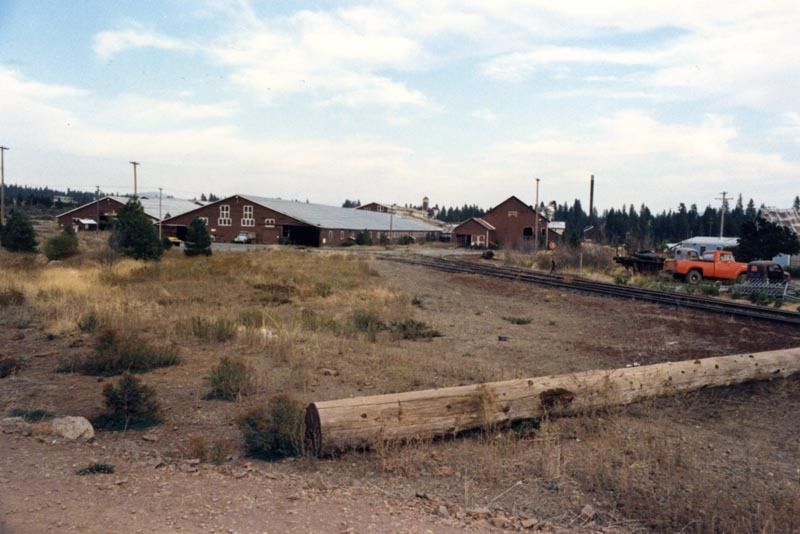 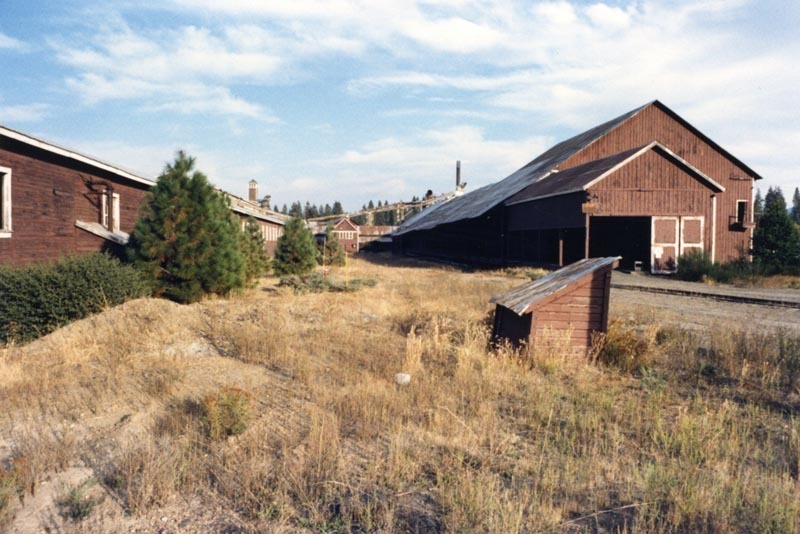 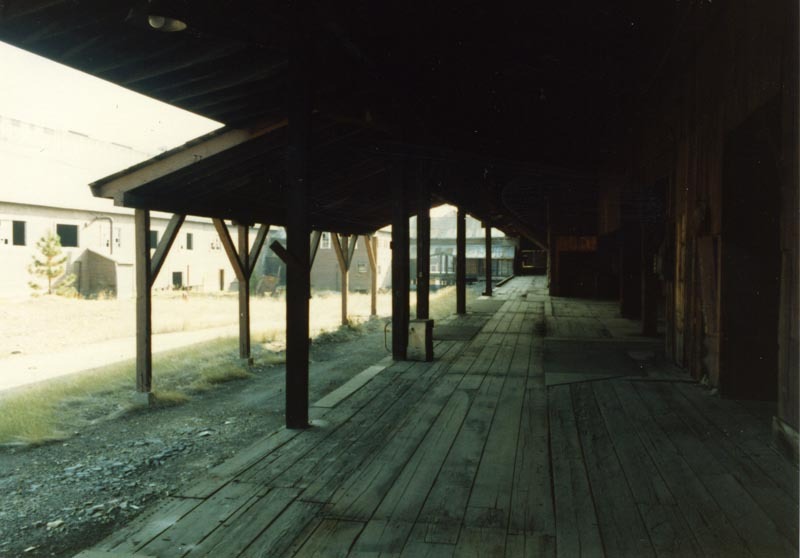 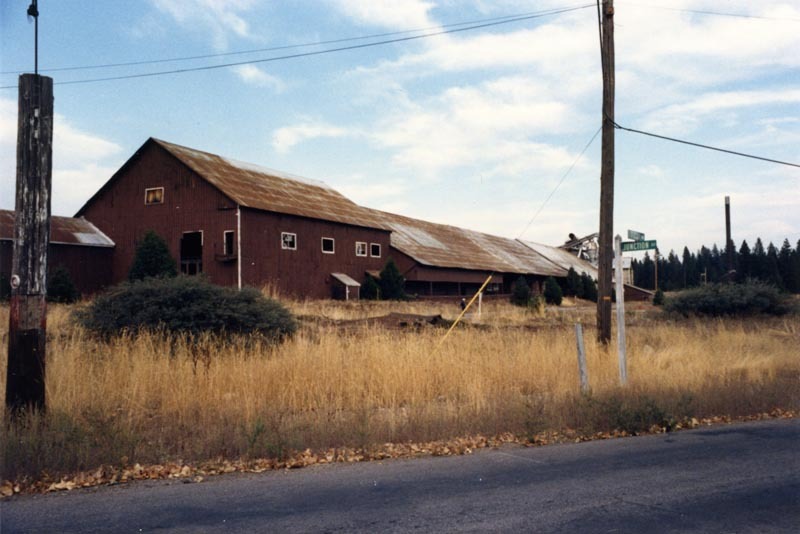 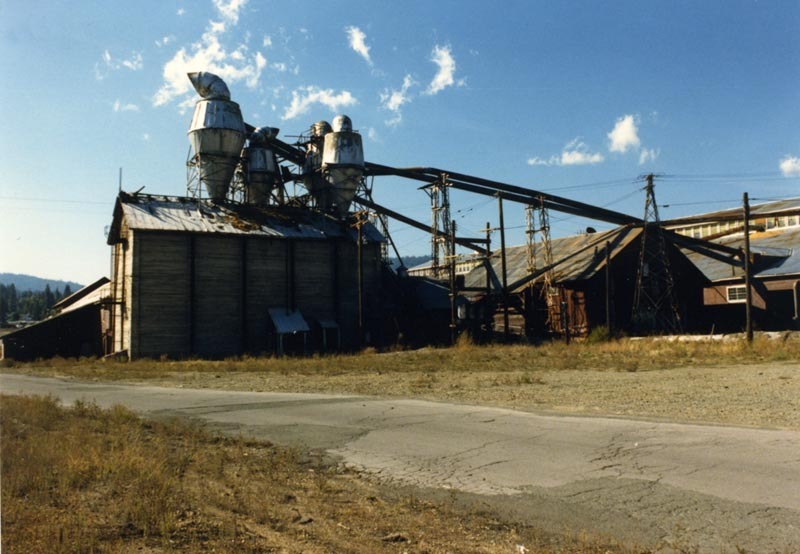 More past and present photos of the McCloud sawmill can be seen here.